Advanced Call Center 7.0 - a generously specced yet easy-to-use answering machine software for your voice modem. Have a look at a new screen shot taken in Windows Vista! Advanced Call Center 7.0 fully supports Windows Vista and no longer uses product activation. Updated: fixed minor issues with Caller ID and more than 4 rings. 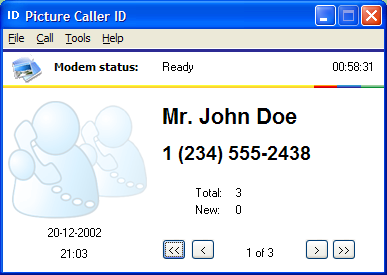 Call Corder 4.0 - phone recording software with Caller ID and convenient call logging. 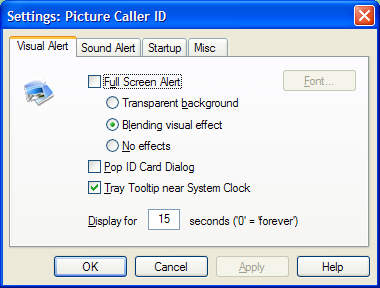 Call Corder 4.0 is fully compatible with Windows Vista and no longer uses product activation. RingCentral Fax online service is secure, affordable and convenient. Send and receive faxes anywhere worldwide, access and manage your faces from a convenient online account. Interested in an online faxing solution based on a business hosting platform? Get your own toll free or local fax number, and receive free fax software to sign, manage and edit faxes. RingCentral Fax integrates with Microsoft Office, allowing you receive faxes in your Outlook inbox and send a fax from Word, Excel or any other application. The most successful businesses are always analyzing, re-forming, and advancing their strategies so take advantage of our solutions today. If you are considering a move toward a mobile workforce solution, Dell Telework offers comprehensive security options that allow your organization to drastically reduce your overall employee costs. Students use WritingRock for free academic writing help. Share taisho-conference.org with fellow college students and get free paper examples. Have you ever been in a situation where you got a suspicious call and wanted to track the caller down? Or you wondered where someone could be and what they were doing? With phone tracker apps, you can keep a close eye on your phone remotely! You can also use a reverse lookup service to find out who owns a particular phone number.